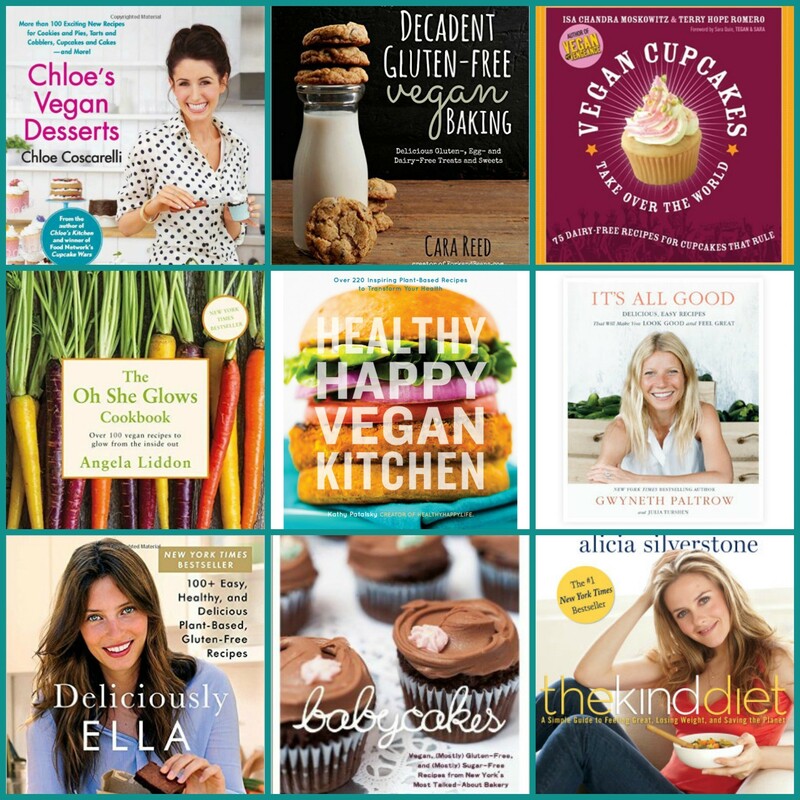 I love cookbooks and it was so hard to pick just a few of my favorites but these are the ones that either inspired me early on, are used most often, or have helped me the most as a resource for cooking/baking allergy-friendly. Most of these are vegan, because they are free from dairy, eggs, fish & shellfish which are 4 of the top 8 allergens. Others are gluten-free and/or have a lot of nut-free options. I hope you find a few you like as much as I did. Babycakes has a special place in my heart! After I found this cookbook, I then found its storefront bakery in FL and we made sure to visit it and load up on whatever Xander wanted. We also went out of our way to visit Babycakes during a trip to NY as one of the only places to get “safe” treats for our little guy. This cookbook is just as special as the bakery. 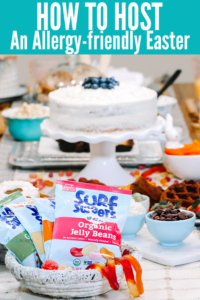 It is delicious and sweets-filled which is wonderful for not only for parents whose children have allergies, or others who struggle with food sensitivities, but also for all you vegans and sugar-loving traditionalists. Chloe’s Vegan Desserts I was actually was watching Cupcake Wars when Chloe Coscarelli was announced as the first vegan winner. Since then, she published several cookbooks but this is my favorite, probably because every recipe I’ve tried has satisfied my sweet tooth! This cookbook is loaded with more than 100 recipes from cakes to cupcakes, to ice cream and doughnuts and pies. You won’t believe these delicious dishes are vegan with so many Gluten-Free & Nut-Free substitutions. Decadent Gluten-Free vegan Baking After I got down the dairy & egg-free baking, I was ready to attempt gluten-free as well. That is when I turned to this cookbook. 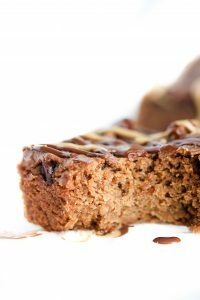 It’s delicious, one-of-a-kind desserts are gluten-free and vegan…which is something almost everybody can enjoy. 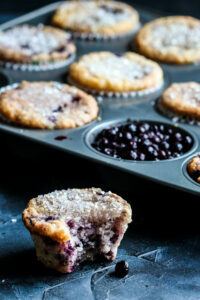 What I also love about these recipes from Cara Reed, creator of ForkandBeans.com, is that she uses tasty and natural substitutions so the treats are the stars of the show, not the sugar. Deliciously Ella When Ella Woodward was diagnosed with a rare illness that left her bed-ridden, in chronic pain, and plagued by heart palpitations and headaches, Ella decided to change her diet. She gave up meat, gluten, dairy, sugar, and anything processed—and the effects were immediate: her symptoms disappeared, her energy returned, and she was able to go off all her medication. That’s why I’m drawn to this book. I love her story, I feel like I’ve lived through a similar journey with Xander’s food allergies. Food can be your medicine or make you sick and this cookbook is a great foundation for eating pure, unprocessed dishes that not only taste delicious, but make you feel better as well. Healthy Happy Vegan Kitchen Kathy Patalsky, has one of my favorite food blogs, Healthy.Happy.Life. In this cookbook, it’s hard to believe that some of the flavor-packed recipes are actually vegan, but that’s what makes it so fun. Along with the inventive recipes, the book also includes guides to help “veganize” your kitchen, cooking techniques for vegan staples, and wellness tips, making it the perfect book for both long-time vegans and newcomers alike. It’s All Good After a visit to her doctor, it was revealed that Gwyneth was anemic, vitamin D deficient, and that her stress levels were sky high. He prescribed an elimination diet to clear out her system and help her body heal. But this meant no coffee, no alcohol, no dairy, no eggs, no sugar, no shellfish, no deep-water fish, no wheat, no meat, no soy, nothing processed at all! Have you been there? Are you there now? This cookbook is NOT vegan, but it’s a great resource for anyone given so many food restrictions. Oh She Glows Whether you are a vegan, “vegan-curious,” or you simply want to eat delicious food that just happens to be healthy, too, this cookbook is a must-have for anyone who longs to eat well, feel great, and simply glow! This cookbook has more than 100 mouth watering, wholesome recipes — that even meat-eaters will love,— all packed with flavor. It also includes many allergy-friendly recipes — with more than 90 gluten-free recipes — and many recipes free of soy, nuts, sugar, and grains, too! Yum Universe Here’s a cookbook that offers a creative collection of more than 150 craveable recipes without meat, dairy, gluten, or soy. It is also loaded with expert advice for anyone seeking to adopt and maintain a whole-food, plant-powered, gluten-free approach to what they eat. Links are provided so you can check them out in more detail or order them through Amazon.